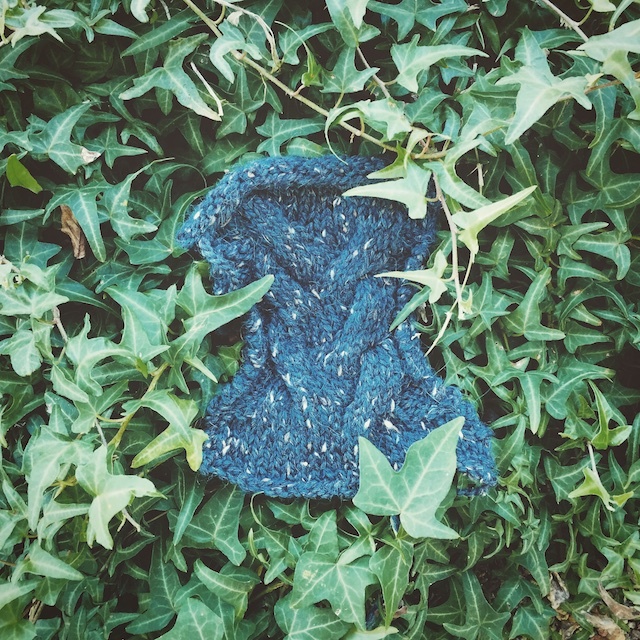 I can't believe I've knit something this massive and gorgeous and haven't posted about it once until it was finished. That's the kind of busy I have been. I had a lot of in-progress photos set up in a post, but I never got around to clicking "Publish." So let me tell you about it now. 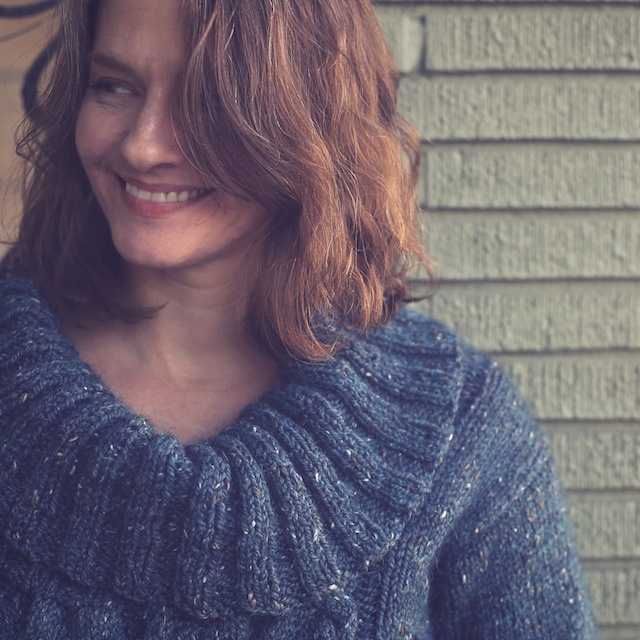 This is the Furrowed Pullover by Hope Vickman. 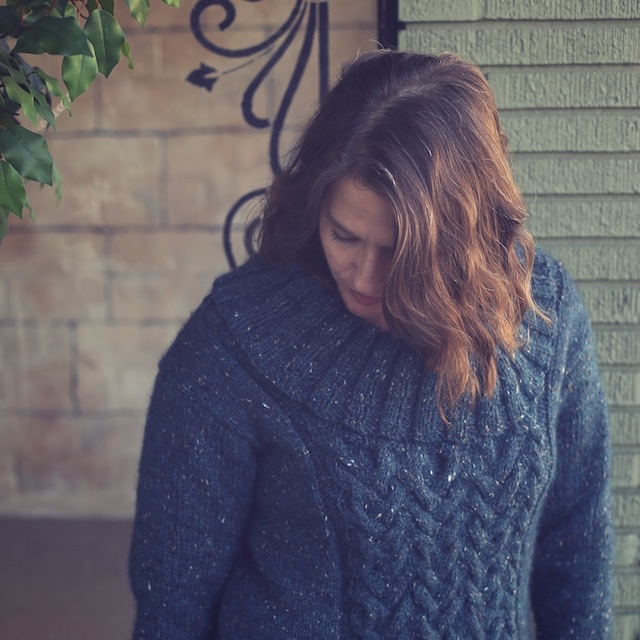 It's one of the gems from Midwestern Knits. This is heirloom quality, if I may say so myself. I love everything about it. 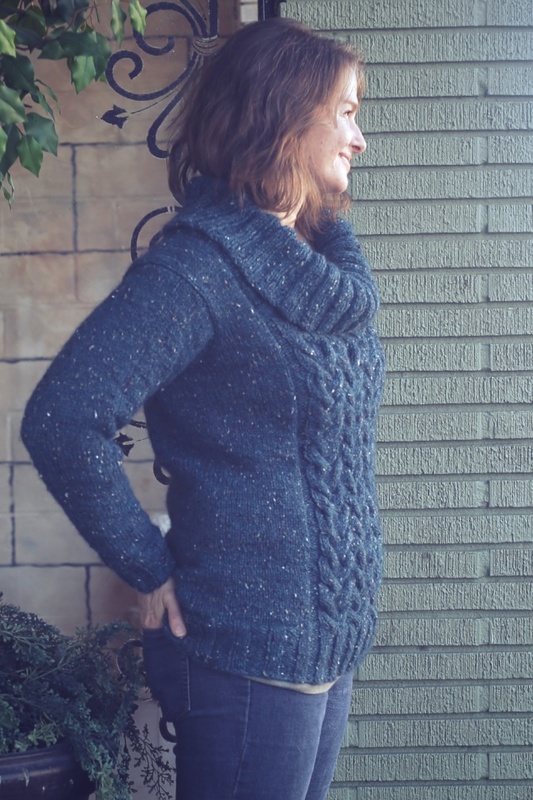 The placement of the cabling, the type of cabling, that awesome cowl neck, and the City Tweed yarn. 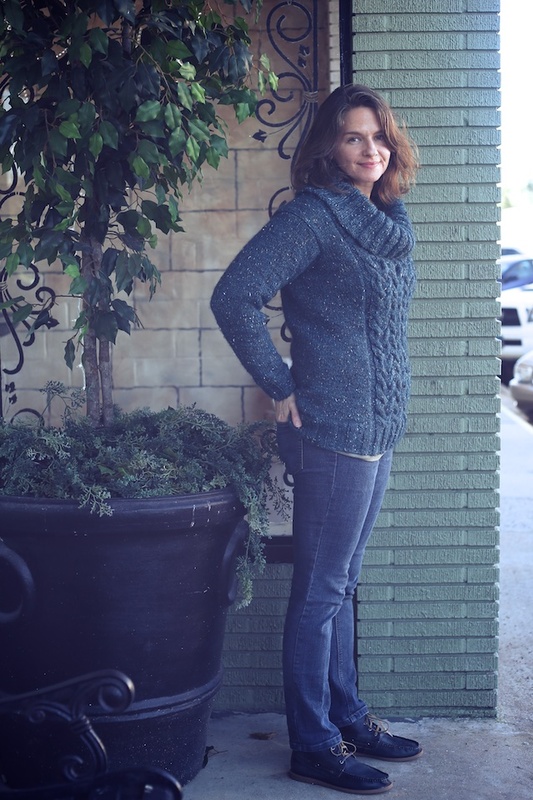 I knit this in the Midwestern Knits KAL that will be going on for quite a while. 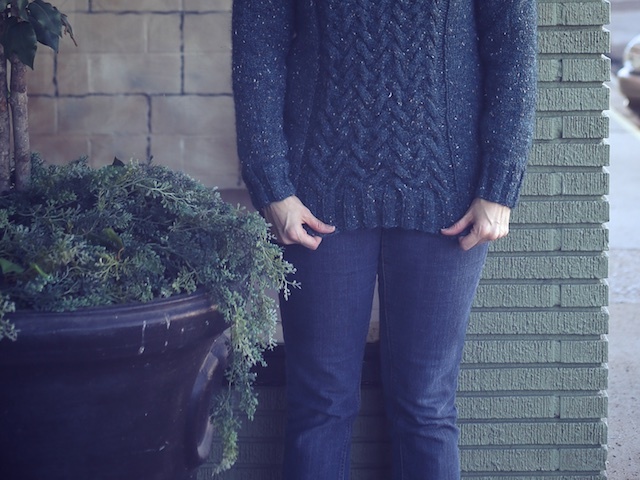 I have another sweater for this KAL too, but once I started these cables, I couldn't stop. I also was putting off all sleeves, on everything, until the last minute. But this last week has been all about sleeves, and I'm pleased to say I sewed these sleeves in with only a few false starts and they look very smooth. I'm now almost finished with the sleeves on Blowing Snow. Then there's Pomme de Pin, and I will, finally, finally, be sleeveless!!!! 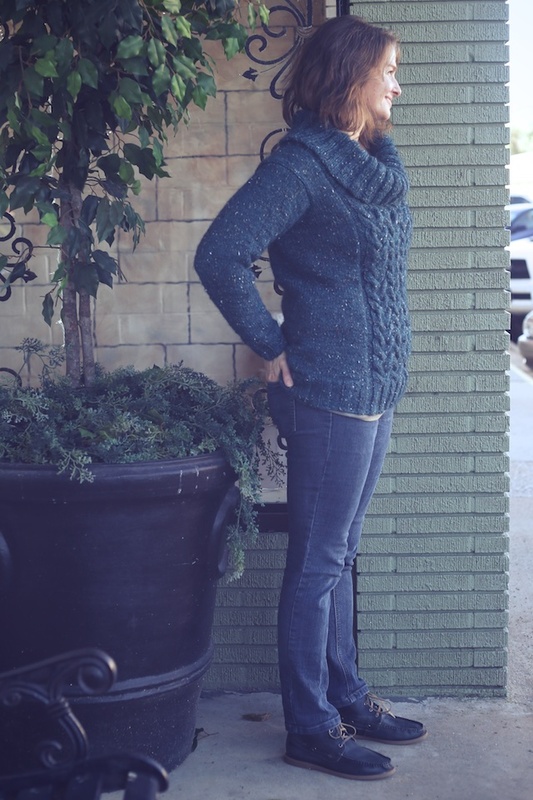 The details: I used size 6 needles and some City Tweed in the Jacquard colorway. I found this in a steeply discounted kit on Knit Picks. 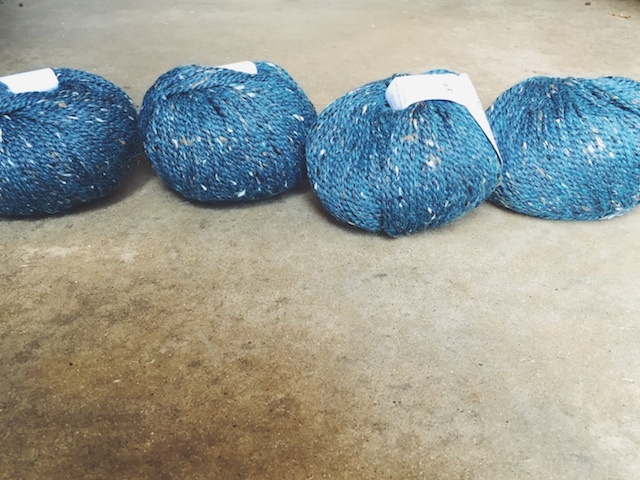 I've always wanted to use Jacquard, so this was a great opportunity to get a sweater's worth. I even have some left. 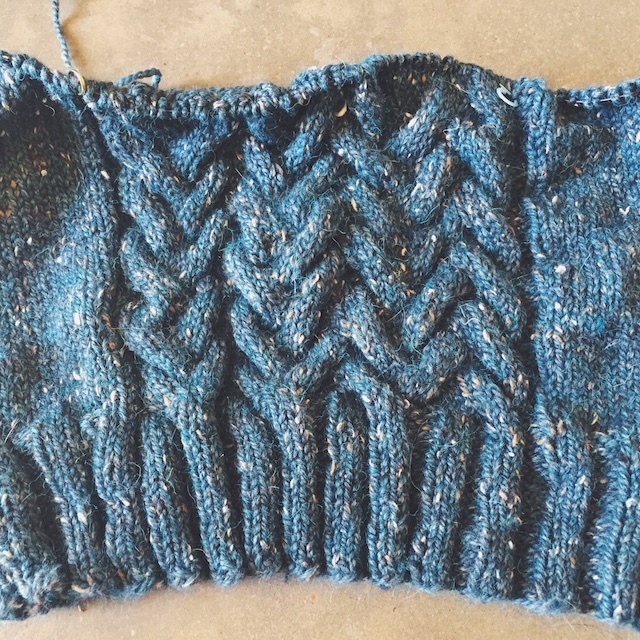 My only modification on this pattern was to wait a bit longer, up the sleeve, to start the increases. 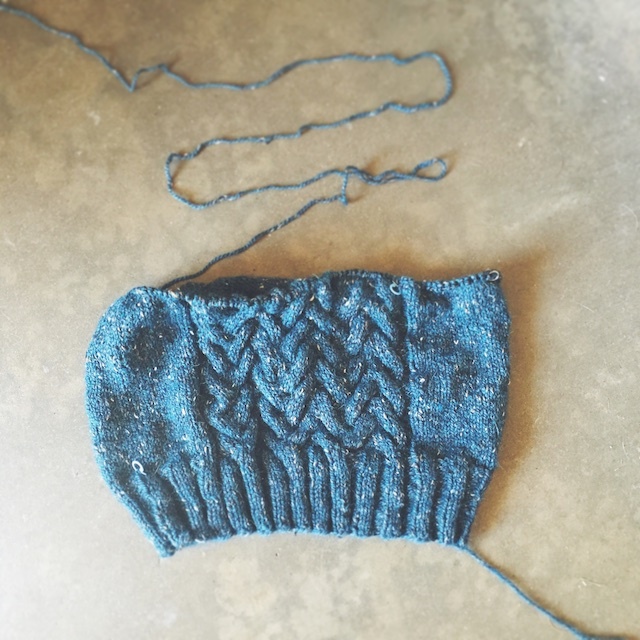 My increases ended right before the sleeve cap. I wanted a more fitted looking sleeve. It's by no means fitted, there's plenty of ease, but my thinking was this: Right now, the sweater fits me perfectly. But I gained weight rapidly over the summer due to a failed experiment in hormone therapy for migraines, etc. Now I don't know if I'll stay where I am, gain more, or lose some of the weight. I just don't want to spend the time knitting things only to have them look like they don't fit in a year. So I'm playing it safe and only knitting things on my queue that I feel will adapt, no matter which way things go. If it looks puffyon me, it's because 1) I am puffy, 2) I was too impatient to block, and 3) I am wearing a ginormous sweatshirt, wadded up underneath it for hastily taken photos. My pullover truly fits great, with both a little ease and the potential to be a very cute, oversized sweater. If that's ever the case, I don't want big, floppy sleeves. Does this even make sense? 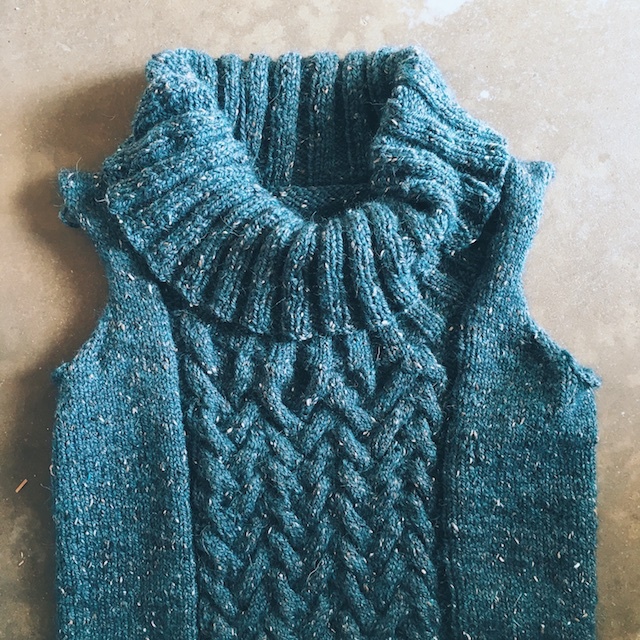 I also knit the collar before starting the sleeves. I wasn't quite sure how the shoulders would fit with the collar finished. If you'll notice, on the pattern sample, the collar is so lush it seems to push the sleeve caps off the shoulder a bit. After finishing the collar, I could put my sweater on and hold my sleeve progress up to it for a good idea of how long to make them. I love this pattern! Did I already say that? 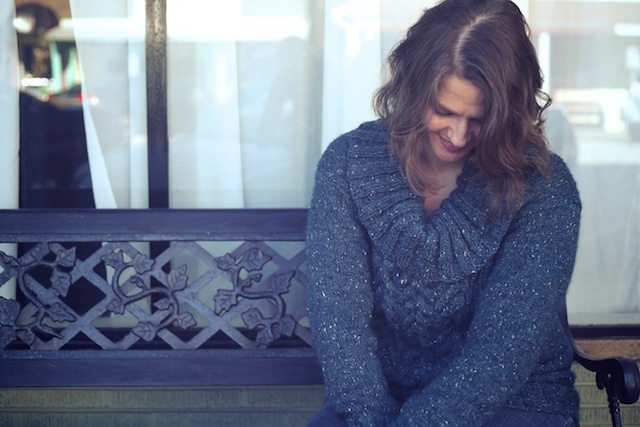 Anyway, it's not too late to join some of the knit-alongs happening in the Midwestern Knits Ravelry group. Check out some of the finished knits.